I write to you today with a touch of sadness as it will be my final time in addressing the Rostrevor community. Looking back on the year, it has been such a privilege to be welcomed into a community with such fondness and open arms. The year has gone very quickly, and I hope, as we come out of the other side, that I have had some input into benefitting this wonderful community. Tomorrow we head into our advent season and the busyness of Christmas and all that goes with it. I hope that, as a family, you will be able to take some time to reflect on the Jesus story of hope, love and joy that the season is all about. It is hard when, on every social media platform, Christmas is portrayed as simply gift giving and spending. My wish for you this advent season would be that you get to spend some quality time with your family and friends and have the opportunity to reflect on the true meaning of Christmas when the Saviour was born. As the year concludes, so do everal of our projects that have been in progress this year. As you will see from the photographs, the resurfacing and redevelopment of the tennis/futsal courts has been completed and will be ready for action in the New Year. Our pool cover is now installed and is working well to maintain the heat and prevent some of the evaporation that will occur during this indifferent weather. Most of the new lighting has been installed in the classrooms and around the campus and our solar panels will be connected early in the New Year, as well as the completion of our new Environmental Sustainability Centre. It is an exciting time for the College and these new improvements will benefit all our young men. There was much excitement last Friday evening when Pick 12 for the Adelaide Crows, Darcy Fogarty, and Pick 37 for the Melbourne Demons, Harrison Petty, were announced. I know a significant group of our Year 12s who had gathered to watch the draft down in Victor Harbour showed great enthusiasm as the boys' names were announced. I am sure some of you will have seen some of the social media around their excitement. We wish these two young men well in their success and I know all our young men here will follow their careers closely and wish them well also. As our year concludes, our Year 10 and 11 students have now completed their exams and will work on transitioning into Year 11 and 12 (2018) next week. Our Year 7 to 9 students go into exam mode next week and our Junior Years' students are concluding their year with a series of events, the first of which, Cultural Day, was held yesterday. Carols by Candlelight will be held tomorrow night (Friday 01 December) in Purton Hall and final assembly and Rite of Passage Ceremony next Wednesday 06 December. Recently, a group of our students participated in the 'Write of Passage' Program; a collaboration between nine of our Year 10 English students and residents at the Allity Aged Care establishment at Walkerville. The program directly combines the Service Learning experience with the study of English in a practical and experiential way. Our students (each paired with a resident of Allity) met over a period of 10 weeks to capture the life experiences of that resident, to record and produce their memoirs. The residents looked forward to the visits and some real relationships were formed. As the program has progressed over the weeks, it has drawn much attention. Allity have engaged their Public Relations Team for photography and video footage of these exchange of memories between our students and residents. An official presentation of the full printed and published memoir collection was held. The event was attended by the residents, their families, our students and parents with the presence of some National Television News Groups. The nine Allity residents also enjoyed a recent visit to the College for a campus tour and afternoon tea. In further developments, this program has captured the attention of the City Messenger/Advertiser who recently ran an article on it. Interviews have also been held with the ABC, Channel 10's 'The Project' and Channel 9's 'Weekend Today' show. 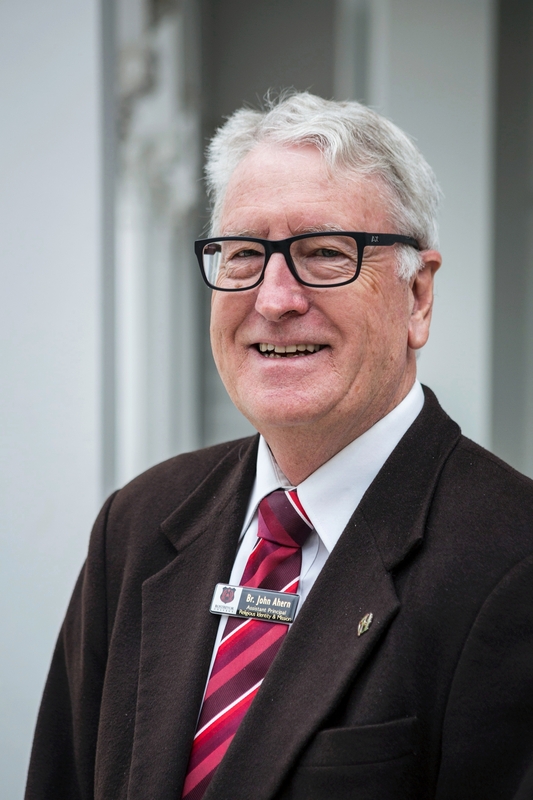 Rostrevor has been the pilot for this program and Allity have now made the decision to roll this program out across their National Aged Care Centres (close to 50 sites) and connected schools. Finally, I would like to take this opportunity to wish every one of you a safe, happy and holy Christmas and I wish all the Rostrevor community the very best in the future. I will certainly be following its progress. I could not have achieved what has been done this year without your support and I would like to personally thank each one of you for your individual contributions to the College this year. Last Sunday was the Feast of Christ the King which is the final Sunday in the liturgical year. The first Sunday in Advent next week marks the beginning of the new Church year. The Kingship of Christ is a kingdom of values not of territory and we are challenged as we finish one year and begin to prepare for Christmas to think about whether we stand with these values. Christmas has become dominated by the shopping industry and it is easy to forget what it is really about. The birth of a child signifies hope and new life for all of us, in a world which needs this. My prayer for our community is that we can welcome Christ into our hearts this Christmas and celebrate with our families what is really important. 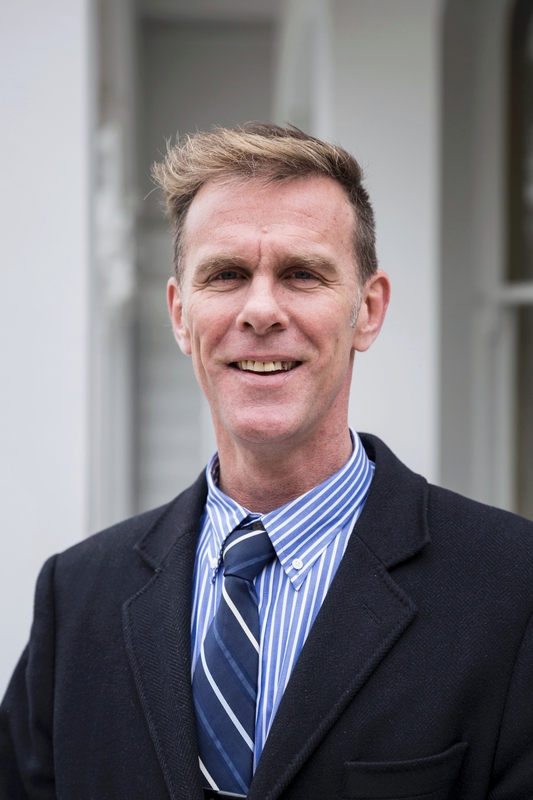 On a personal note, this is my final newsletter article after many years and I look back in gratitude on my time as part of the Rostrevor Community. I have enjoyed my time and received as much as I have given, from you all. My thanks to the many who have gone out of their way to wish me well for next year as I take up further studies in Spirituality. I look forward to seeing Rostrevor continue to grow and develop in the years ahead. As I write this final Newsletter piece for 2017 I can see our boys out on Bungalow Oval running around as part of their Cultural Day celebrations. They are taking part in a Palio race, made famous via the bi-annual race held in Siena, Italy. I will report that the Barron House team has been victorious again for the second year in a row, with a dominant display of horsemanship! This annual Cultural celebration is the result of much planning by Ms Belinda DeConno and Ms Elizabeth Trasente as part of our Languages other than English program. It provides an opportunity for our boys to celebrate the multi-cultural and inclusive community that Rostrevor College is, and always aspires to be! This supports greatly one of our key Touchstones of an Edmund Rice School where we are challenged to be an Inclusive Community and reinforces this learning for our boys. Recess break has just seen the boys demolish some delicious Italian continental cakes (in true boy style) and I'm sure they'll save some room for the variety of lunch options we have for today! Culture day is always a big hit! In writing this I am mindful that we will, at the end of this year, farewell Ms Annie Galvin from Year 1 and also Ms Julie O'Nions from her role as class teacher and Literacy key teacher in term 4. We have been blessed to have these two fine staff caring for our boys for the second half of this academic year. We wish them both our best as they continue their career journeys from the end of this year. 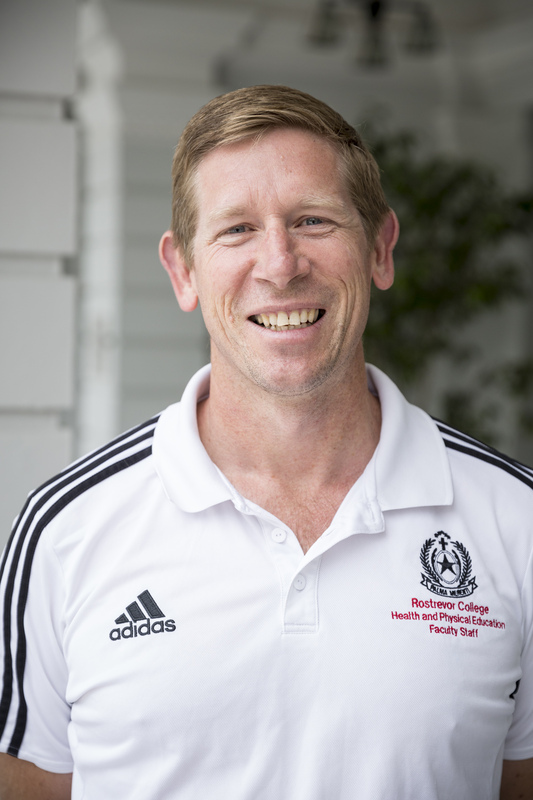 You will also note that Mr Tim Baccanello has been appointed as Physical Education specialist teacher for the Junior Years PE program and he will also take on the role of managing our Junior Co-curricular program. 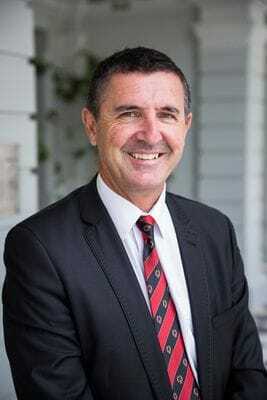 I'm sure you will all join with me in wishing Tim all the best and, in doing so, we would all acknowledge and thank Mr Michael Hingston for his contribution to these roles for the past 2 years. We will also welcome Ms Jenny Furst back 'to the fold' at the commencement of 2018 after her Semester of Long Service Leave during the second half of this year. As indicated in recent correspondence, we are currently working on the class 'split' for Year 6 next year and I have invited parents/caregivers to speak with me if they have an educationally based preference for either teacher. I wrote in prior communication that we have recently elected our Campus Leaders for 2018 Captain, Ignatius Crafter, and Vice-Captain, Henry Knight. We are delighted with their appointments! Boys from the Junior Years will stand in solidarity with those affected by Type 1 Diabetes this Thursday afternoon from 3:30pm. We will support the JDRF as it hosts a walk in the city during the same afternoon. Thanks to the passion from our Captain Charlie Crafter, we look forward to raising much needed funds to support research into Type 1 Diabetes with the aim of making 'type one, type none' in the future. We will sell ice blocks and merchandise from JDRF to all boys on the day and then invite our Year 2-6 boys to walk two laps of the College to show their support! Finally, I would like to make one final 'plug' for our annual Christmas Carols event. Given unpredictable nature of the weather at this time of the year, we have determined that we will hold this year's event in Purton Hall this Friday evening. Timing will be the same and we still expect a visit from a certain man in a red suit, however our set up will be slightly different given the indoor venue. We encourage all families to attend and bring along a picnic to munch on and perhaps a blanket to sit on. We won't provide seating so that families can spread out and enjoy some space! I'm sure we will have many in attendance and the staff and students look forward to the event. In the final Newsletter for 2017 I wish all members of our community a peaceful and happy Christmas period as we look forward to recharging the batteries to go again in 2018. All boys should by now have completed a request to enter their co-curricular selections for 2018. Nominations for some teams have already been called for by the SAAS association, therefore it is important that boys who selected an activity for term 1 fulfil this commitment and make plans to acquire correct uniform and attend trainings in week 1 of next year. If your son is returning next year and has not returned a form, I will assume that he is going to be undertaking the same activity again next year given that Rostrevor does have a compulsory co-curricular policy. Good luck to the 1st XI side who take on Adelaide High this week in the Messenger Bowl T20 final to be played at mid-day at Adelaide High this Thursday. The Rostrevor team have been in great form and are looking forward to testing themselves against a highly talented Adelaide High team. 1st XI debutants Max McKay and MacKenzie Heath. This was as comprehensive as the score line suggested and all of the boys can be really proud of their efforts. With 5 players playing either their first or second game, we spoke about the importance of taking the opportunity. Many boys now have a much greater responsibility with either the bat and the ball and it was pleasing that many boys on Saturday took that opportunity. Scotch won the toss and elected to bat, although we would have bowled first given the rain that fell on Friday afternoon. Joel Size was superb from the opening delivery and used the downhill slope to generate good speed to intimidate the Scotch batsmen. He was well supported by Riley Slack who was unlucky not to claim more than the one wicket that he did. Scotch were soon in trouble at 6/13, however a mini revival saw them reach 6/42 at the drinks break. Cameron Taheny and Ben Homan bowled economically and gave nothing away and then Max McKay on debut and Sam Rahaley bowled beautifully in tandem, which augurs well moving into next year. Joel Size returned to clean up the tail and finish with 5/10. Max McKay on debut picked up 3/14 from his 5 overs. Mackenzie Heath was excellent in the field making a difficult run out look easy and showing that he has a safe pair of hands, taking a good catch also. In reply, we had to face a potentially tricky half an hour before the tea break. Within a matter of minutes, Stefan Lanzoni and Angus Honner were making easy work of the small total. Both boys played well square of the wicket, but Lanzoni in particular was very impressive. From batting in the lower order all term, he grabbed the opportunity to open and looked like a natural. His power hitting was immense, yet he was also able to rotate the strike to put pressure back on the fielding team. Unfortunately, we lost Honner in the chase, but Sam Rahaley offered the support to Lanzoni which got us home in just 11 overs. This gives us 2 bonus points and keeps our position on top of the Messenger Shield table as we head into the Christmas break. We can take a lot of confidence from this result and an undefeated Term 4 in the Saturday competition. Year 9 cricketer Ned Carey collected 69 runs against AHS in the 9Bs out of a total of 104 with the impressive bowling figures of 3/4. Congratulations to 2017 graduates Darcy Fogarty who was drafted by the Adelaide Crows with pick 12 and Harrison Petty to the Melbourne Demons with pick 37 in the recent National Draft. We wish them all the best as they commence their AFL careers.